The calls to boycott Republic Day programmes in several Northeastern states in opposition to the Citizenship (Amendment) Bill was almost predicted in the Constituent Assembly, prior to India’s Constitution. Republic Day faced boycott calls in Assam, Nagaland, Manipur and Mizoram. This was not due to the biannual boycott calls – once on Republic Day and the other on Independence Day – issued by various armed political groups, but rather, in protest against the Citizenship (Amendment) Bill. The Bill, though facing opposition from almost the entire Northeast, was passed in the Lok Sabha on January 8 this year. The irony in the Bharatiya Janata Party-led Union Government’s ham-handedness is that the issues raised in opposition to the Bill are similar to those raised in the Constituent Assembly, the body which deliberated on and drafted the Constitution of India. The issues raised in opposition to the Bill generally follow the path of indigenous rights and political representation. Though most conflicts in the region are represented as a matter of development and economics, the solutions are entirely political. In the present case, the conflict that has not yet turned violent is entirely political. 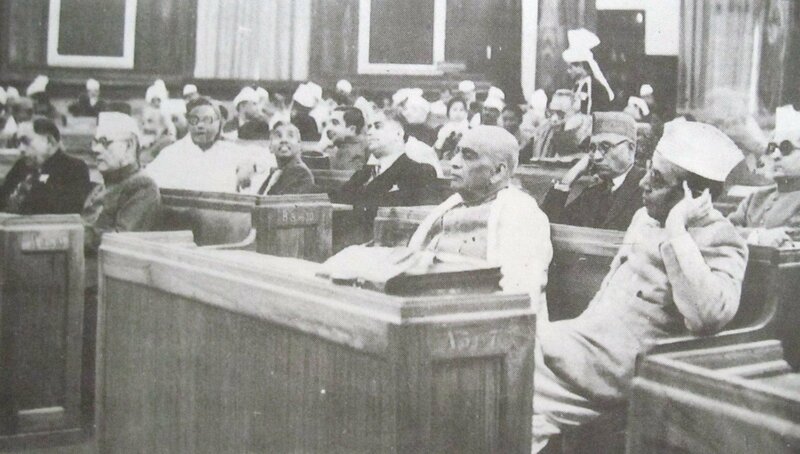 On July 18, 1947, Sardar Patel had presented Clause 19 before the Assembly. In the present Constitution, Clause 19 would roughly correspond to Chapter III of Part VI, which deals with state legislatures. Subclause 2 of Clause 19 proposed a representation based on one representative for every lakh of population. Sayed Muhammed Saadullah, a Muslim representative from Assam suggested that this figure should be raised to one representative for every two lakhs of population, citing the size of the United Provinces’ population. Omeo Kumar Das, a general representative from Assam however suggested reducing the number from one lakh to 75,000 due to the sheer number of ‘backward communities’ who would otherwise have no representation. “Provided that in giving representation to any territorial area or areas inhabited by hill tribes, the Provincial Government may determine a lower basis of population than one lakh and the total representation of the Province shall be increased accordingly”. Elaborating on the reason for this amendment, Roy cited the example of the Mizos, who, at that time, numbered a little over one and a half lakh, yet occupied an area of over 20,700 square kilometres. This was juxtaposed with one of Assam’s plains districts where 12,54,000 people lived in an area of around 9,800 square kilometres. At present, the only hill areas of Assam lie in the former North Cachar Hills district. The Khasi, Garo and Jaintia Hills became Meghalaya, the Lushai Hills became Mizoram, and the Naga Hills became Nagaland. Delimitation and representation in the state legislative assemblies is now frozen to being on the basis of the 1971 census. State governors and the president have the authority to recognise certain communities as Scheduled Tribes (ST) and provide for the necessary representation. However, Nichols Roy’s warning has been forgotten. In the realm of realpolitik, the candidate who represents the interests of the majority of the electorate is the most likely winner of any election. Hence, irrespective of a reservation in representation, if the majority population in a ST constituency is not ST, one can guess whose interests will be best taken care of. Mizoram saw a level of protest that was unprecedented. Only senior government functionaries were allowed to attend the Republic Day programme. Administrative services officers below the rank of joint secretary were stopped by the protesters from entering the venue. The Governor addressed a nearly empty stadium. Republic Day programmes were equally muted in Assam, Manipur and Nagaland. Accompanying the opposition to the Bill were comments advocating secession if the Bill is passed. Clearly, Nichols Roy hit the nail on the head in 1947.